Let’s take a look at that holiday list, shall we? Organize Christmas menu, make sure you have enough place settings for holiday dinner, trim the tree, make the latkes, pick up cloth napkins to replace dirty old stained ones, figure out gifts for Mom, Dad, Sister, Brother, Uncle, Cousin, Daughter, Son, Teacher…wow that’s a lot of people!? Feeling overwhelmed? OK, here’s something that will help: Let’s take a look at that list again: Organize Christmas menu; make sure you have enough place settings for holiday dinner, trim the tree, make the latkes, pick up cloth napkins to replace dirty old stained ones, figure out gifts for…wow, that’s a lot of people in your life, and a lot of amazing, incredibly lucky ways to celebrate them as they will most likely be celebrating you. Yeah, yeah, yeah, enough with the big picture and enough with the perspective. Let’s do some shopping! New York Babka (Breads Bakery,$35 for three) My dad loves babka. Which is a silly thing to say because, I mean, how can you not love babka, chocolate-swirled rolled cakes, that are spiked with cinnamon if you’re lucky. I used to pick them up for him when I lived near the Middle Eastern markets on Atlantic Avenue — now I just pick them up wherever I wander by one that looks good. This week, it just so happened I was wandering by Breads Bakery, home to what New York magazine calls the Best Babka in New York. Sold. 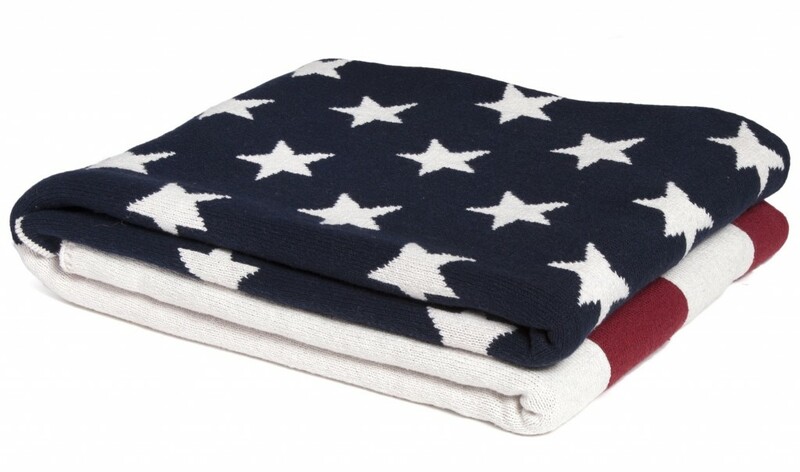 American Flag Throw, (in2Green, $165) You know that aunt/cousin/in-law who disagrees with you on literally everything in the headlines lately? Well, for the time being, I’ll bet you can probably agree on this. Made from soft, washable, recycled cotton, we have them in the TV room, on the couch, in the girls’ beds…I’d say we’re officially addicted. 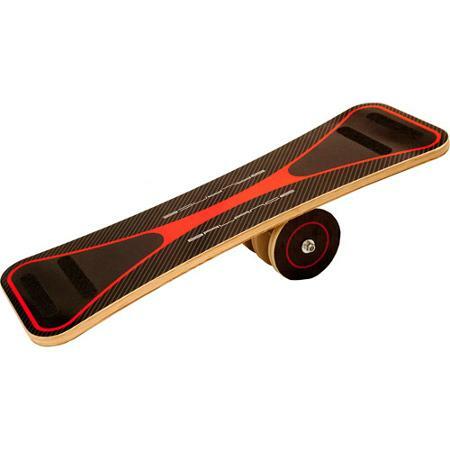 Balance Board (Carrom, $77) Think of it as training wheels for a Hoverboard. And a little easier on the wallet. Leather “Ingredient” Bracelet (Delicacies, starting at $75) Why shouldn’t there be a line of jewelry exclusively for the epicure? And why shouldn’t they feature special ingredients in sterling silver? Especially when every bracelet sold will provide 20 meals to those in need through Share Our Strength/No Kid Hungry. The company is working with a new celebrity chef (think Marcus Samuelson) every three months,to choose a charity to which to donate the proceeds. How cool is that? How cool are they? Dollhouse (Smaland, $89) If you have a kid who loves nothing more than disappearing into a pretend world, I have two things to say to you: 1) Make it last as long as you can — you’ll miss listening in on their make-believe conversations sooo sooo much and 2) Look into this dollhouse. I’ve already gone into detail on how sentimentally attached I am to Lundby (I grew up with it), but anyone with a heart can appreciate the sweetness of this happy home. 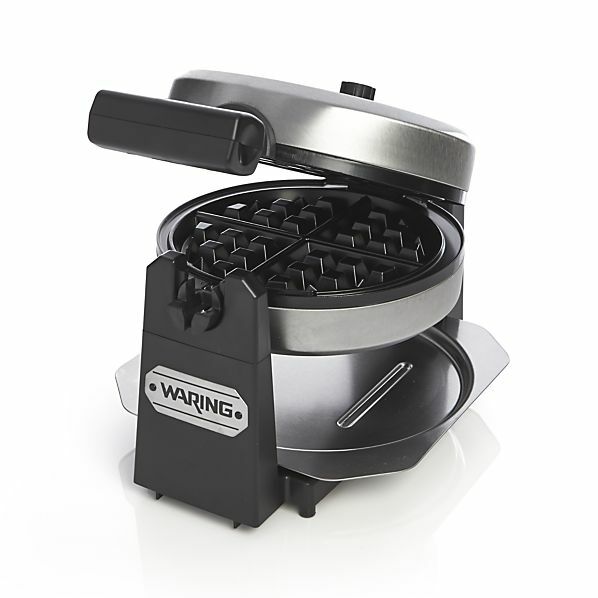 Belgian Waffle Maker (Waring, $53) You know how before you had kids, you used to say things like “Every Sunday we’re going to have a real diner breakfast with waffles, pancakes, an omelet station…the works.” By now, though, you know not to ever listen to your pre-kid self. (She didn’t know anything about Music & Me schedules…or exhaustion.) Don’t beat yourself up! Maybe all you need is a little gear to kickstart you (or your earlier waking spouse) in the right direction. This Belgian Waffle Maker? A good place to begin. Fatheads ($25-$140) In my day, it was the McEnroe poster thumbtacked to the bedroom wall. Today, it’s the fathead – which, judging by my nephew’s reaction when we gave him one last Christmas – is way cooler. 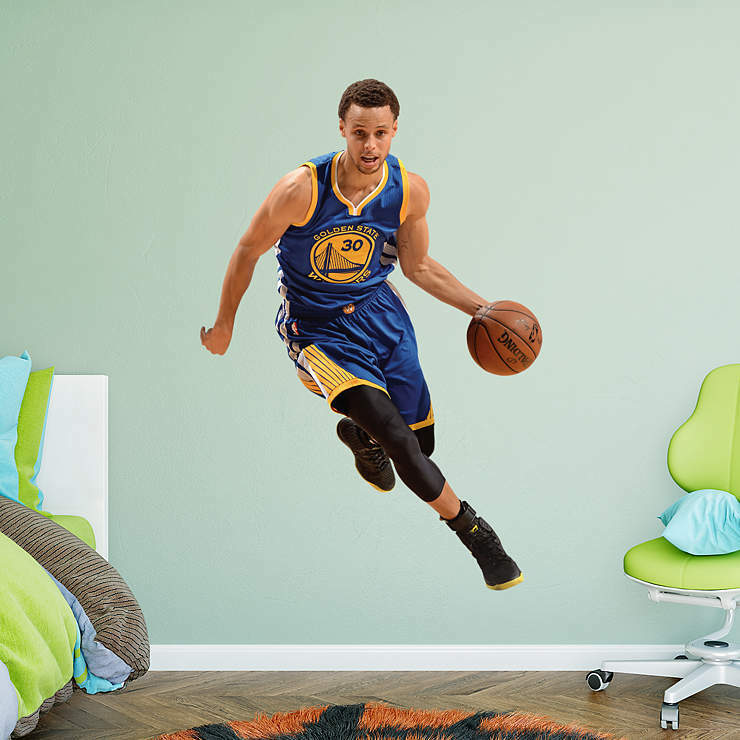 And sure, while Stephen Curry (or Lionel Messi or Maria Sharapova) is never going to be a bad choice for a ginormous wall decal, did you know the company customizes them, too? In other words, what’s stopping you from enlarging your very own midfielder…or ballerina…or Boston Terrier? The possibilities are endless. And maybe a little terrifying. Holiday Gift Kits (prices vary) I love this idea so much. Instead of just giving a favorite book, my friend Jodi uses that book as a starting point for a holiday gift kit. Like, for instance, Dinner: The Playbook (hey whaddaya know!?) would be bundled with a wooden spoon and recipe ingredients. Not surprisingly, Jodi writes the awesome craft blog Supermakeit (you might remember her adorable Animal Menorah) and has written two of her own books that are well worth bundling — check out her entire round-up. PS: GIVEAWAY ALERT! Delicacies, would like to give away two supercool leather bracelets to two lucky DALS readers. Just comment below to be eligible. Winners will be chosen at random. Contest ends Monday, December 14 at 5:00 PM. Good luck! UPDATE: THE WINNERS HAVE BEEN NOTIFIED. THANKS FOR PLAYING EVERYONE! Great gift ideas! 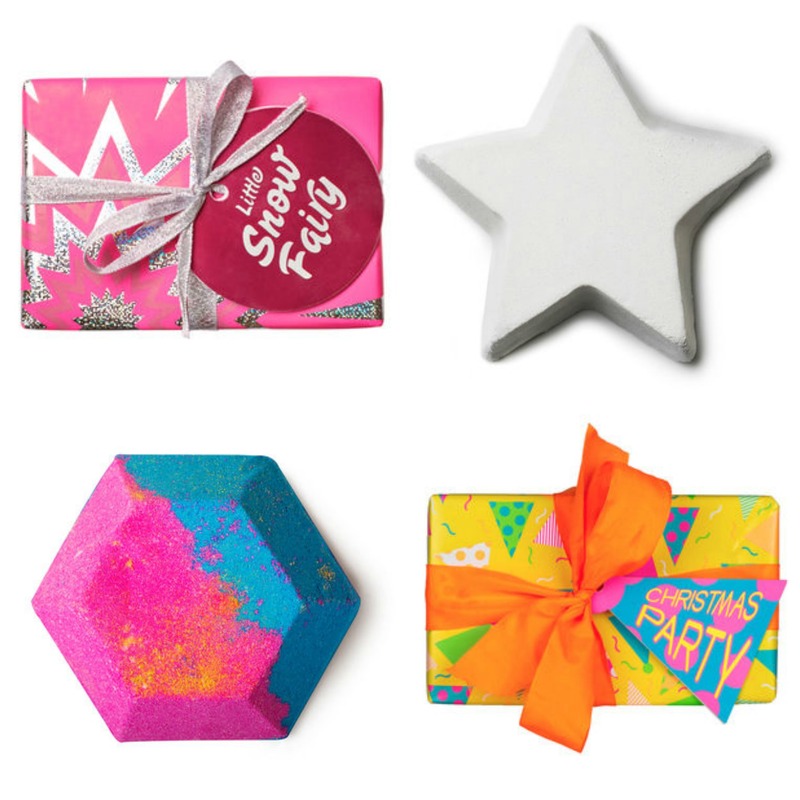 Those Lush gift sets make me so happy. Thanks for the giveaway and all of the great gift ideas! Thanks for the great ideas on your gift list! I love the bracelets! Very clever! I seriously love that sweet little dollhouse, and now I’m also kicking myself for not thinking of Lush products for my preteen niece. There’s always her birthday, though. I love the cookbook/package idea! What a great way to turn a good book into an awesome gift. Thanks! So many great gift ideas! That babka looks so yummy. 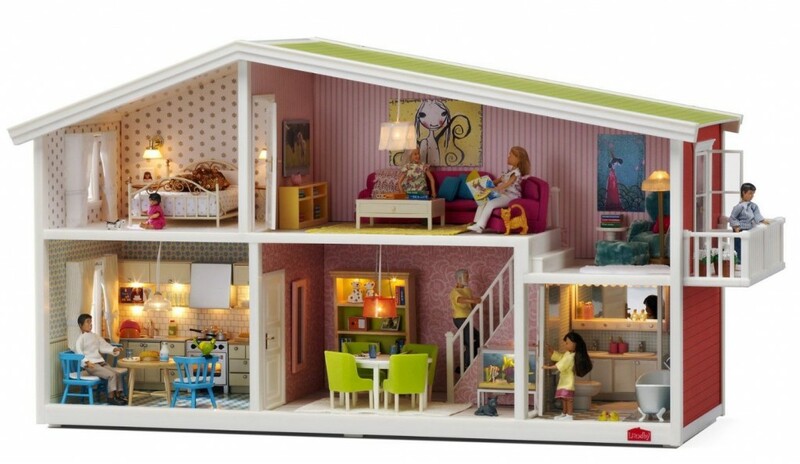 I just sat down to research dollhouses for my three-year-old daughter who pretend plays for hours. I’m debating between a kit that I can personalize (lots of time) or something like this one you’ve listed here. AND….babka is something I miss so much from New York, after moving away two years ago. I just looked up your recommendation and it ships! I might need to ask for this from my family! Thanks again. DALS is my favorite food blog. That Delicacies bracelet is fabulous. Holiday gift kits are the best, and in my house are usually built around http://www.dinneralovestory.com/ill-miss-you-granola/! Those are super cute! I’d love to win one! Would be a perfect gift for my S-I-L! i would love a bracelet! Bunch of great ideas here! Fates and Furies is on my nightstand too! Maybe some downtime after Christmas to read it! Rhonda – do read it! 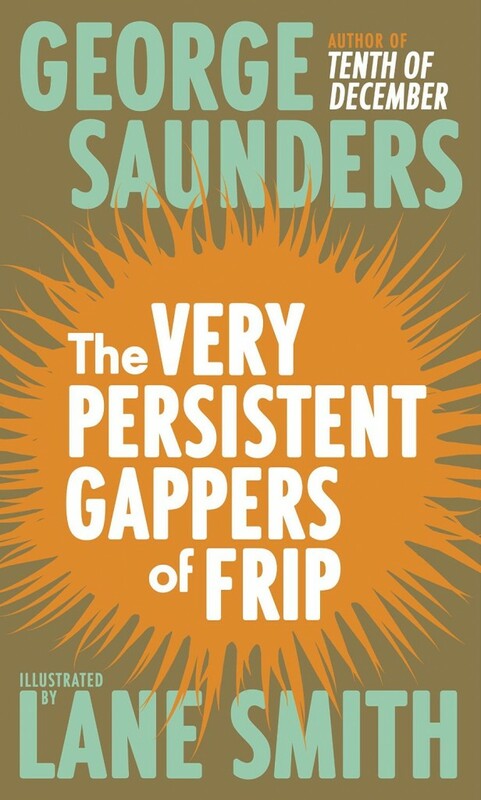 It is one of my favorite books this year. Read it for book club and couldn’t put it down. We loved it! I like how each delicacy on the bracelets means something. Onions for strength and protection! Totally would love an epicure bracelet! Thanks for the suggestions.. checking them out right now! Would love to win! And also, another great new graphic novel – HILO. Ooooo what a cool prize! Would love to gift my Mama with the pineapple! Thanks DALS for another great gift guide! Love the delicacies bracelet! I was planning on looking it up before I even got to the bottom of the post. The egg is my most favorite ingredient of all time, and is what I would get on my bracelet. Oooh oooh oooh! Pick me pick me! I could pretend like I was going to be a super awesome person and give it to a friend for Christmas, but this treat will be absolutely positively exclusively for my. wrist. only. Because. 🙂 Thanks for sharing this bundle of super duper awesomeness. Those bracelets are so neat and I love that it provides meals to those who need it! Such good ideas!! I had never seen the keyboard covers before – and they are perfect! Great post! Somehow I missed all the buzz about Fates and Furies, it’s now on my to-read list! 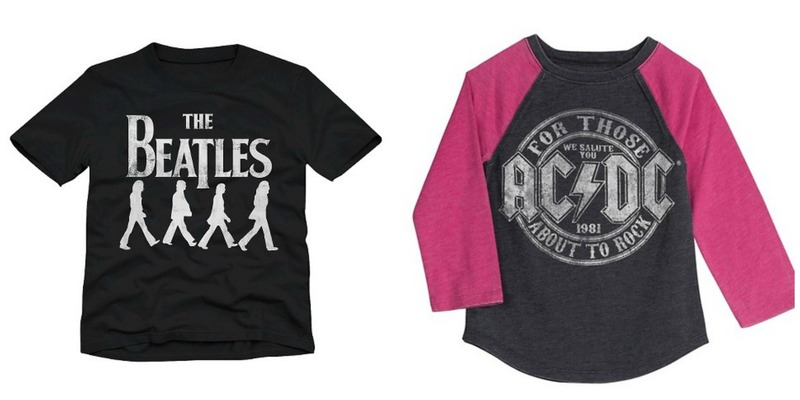 Ooooh – my 9-month old needs that Beatles shirt! Thanks for the link. I would so rock a supercool leather bracelet! Please pick me! Thanks for the ideas Jenny, and this amazing blog! Its the one thing I look forward to reading most everyday! I just saw Jodi’s post on her gift kits — and forwarded it on to my family for me. I doubt anyone will go to the trouble but you don’t receive if you won’t ask! As always, you list great ideas! The gift kits are adorable! Those bracelets are so cute. And this whole post is full of great ideas! I really love the Holiday Gift Kit idea. Super fabulous. I also LOVE those bracelets. Fun gift guide. Love the bracelets! I would ROCK a bracelet with a pig on it. Ingredients on my wrist! Yes! i love lush! just bought an awesome hair masque there about a week ago. also–looks like there’s no link for the wall decals? Love the list! I’m not sure how I missed seeing anything about Fates and Furies, but I’m adding it to my To Read list now! Great ideas – thanks for the post. That balance board is just the thing for one of my twins – she’ll love it. And great book ideas, too. Happy Holidays! I’ve never heard of a babka before but it looks delicious! The bracelet would be so fun to wear! Glad I saw this post today – there are definitely some great ideas here! I just put Fates & Furies on MY wish list. 😉 A Delicacies bracelet would be pretty awesome too! These are all great gifts! Love this list every year and would love to win a bracelet! Ooh thanks for the ideas. I, too, cannot wait to read Fates and Furies. Those bracelets are SO cute! Love your lists every year–they are spot on! Thanks for putting this together again! And LOVE the bracelets! Love these ideas and would be thrilled to win one of those fabulous bracelets! As an organic free-range chicken farmer, the chicken bracelet really resonates. Thanks for the Lush reminder — my 12-year-old will thank you, too! I’d love one of those nifty bracelets! Thanks for the chance! And now I know what to get some young teens on my list…lush! Great gift ideas! I especially love the butcher block (and that bracelet is pretty darn cute, too!). These all look great – thanks! Such a great list! I’d forgotten about cute target tees for kids! Love the idea of the gift kit! Also, those leather bracelets are pretty cool. the bracelets look so cute, I’d love to win! What a fun treat that would be! I’m a long time reader and I recommend your blog to so many people. I absolutely love your lists and recipes. Thank you so much for the time you take to make these posts for all of us to enjoy! I’d love to win a bracelet! So cute! And I love the gift kit idea. I feel like sending this post around to my family so they get some ideas. Awesome list! My daughter loves bath bombs and The Thing About Jellyfish has been a huge hit with the 6th grade girls! Great unique gift ideas! My daughter would love the Experimenter bath bomb. Thanks for sharing! This list is phenomenal! Thanks. Oh man, the coffee bean or the garlic – so hard to choose! I love your gift guides! Thanks! This is one of the best holiday gift guides I’ve read this month! I would love to win one of those bracelets!!!! I’m sucker for a gift guide, especially one with a giveaway. Guilty for clicking every link. Oooh! What a lovely gift list! Would love a Delicacies bracelet! Love the cookbook gift package and would love the bracelet! That babka makes me want to eat! And the bracelet is cute too! Your annual gift guide has been a god send! Thanks! Would LOVE to find one of those bracelets in my stocking. Lots of other great ideas too. Now I’m headed over to check out Jodi’s blog. Oooooh, the little chicken bracelet is totes adorbs! I already eye-balled the wheat thick cut bracelet. I love a gift guide! But I already have both your books. But hey, my brother doesn’t! Merry Xmas and thanks for the great gift ideas. Would love to win a leather bracelet! Delicacies- what? No wedge of cheese? I am drawn to the cow and the octopus, so lovely and detailed for being so petitely formed. A cute belt for my wrist! I love all these ideas! I also have some new books to add to my list! I love the ingredient bracelets! That bracelet — with that tiny sterling silver chicken — would be perfect for my chicken-raising, leather-loving mother. Would love to win! Thanks for the great ideas!! I have been looking for a good book to get for my mom!! holly jolly ho ho ho! Gorgeous bracelet. Great ideas. Thank you! I think I’m in the minority of people who did not love Fate & Furies. You are not alone…I hated it and can not even imagine gifting it to any of my kids teachers! Love your blog…and your books! The chili pepper!! Ow ow ow! Such a great list of ideas! Great gift ideas, thanks, I love the recipe kit! What a great idea for a teacher gift! I’m grabbing a few copies of Fates and Furies. My 9 year old is desperate for a hoverboard so the ball ace board is goingr under the tree too. Thank you for the list! It is so difficult to find something new and cleaver- this bracelet is perfect! Fate and Furies is on my reading list too. Great ideas! Everything on here looks like so much fun, and the bracelets are so beautiful! Cannot wait to read Fates and Furies….it’s on my holiday reading list. Thanks for the great ideas, and the giveaway! I love all the gift ideas. Just looked the other day at previous ones. Was wondering where your book list went. I came across it a week or so ago, but now can’t find it. Always love to see what people are reading or want to read. I love gift guide season! We did a holiday gift kit using a hardcover copy of Dinner: A Love Story in a crockpot for my brother and his girlfriend last year. Wooden spoon and ingredients inside as well! Cannot possibly go wrong with that kind of gift, especially as they had just moved in to their first apartment with a real kitchen! What a fun giveaway – have a great winter everyone! Thanks for the great gift suggestions! I love the bracelets! So dainty and so original. But I really love the idea of the personalized gift and gift! The holiday gift kit is wonderful! We always have to buy a non-gender specific gift for the gift exchange for my husband’s family and then you just grab a gift from under the tree. Trust me, we’ve ended up with some real “goodies.” Ahem…but I foresee putting together a gift kit this year and, maybe if I’m sneaky enough, I can end up with my own present! Great gift guide! Thanks for the ideas. happy holidays. Thanks for the book recos. What a great giveaway. Love the bracelets! LOVE those leather bracelets! Great giveaway! These are darling!! Thank you for the list! Thanks for this inspiration, you always put together great lists. And OMG, how much am I now coveting a delicate garlic bracelet?!!!! Fab. Sonoma, actually, but we are embracing a new life in Boulder, CO! Buff Orpingtons coming soon. Delightful bracelet! Thanks for your tireless inspiration, Jenny. Thanks for the great gift list. Happy Holidays to you and your family! would love to enter, Happy Holidays. Today is the day to sort through gifts and see what is missing… and now I have ideas to tuck in the openings. Thanks. I am looking up the bracelets right now. Love everything about them. Oh and the ya books too. My kids are readers. It is hard to keep up with new books for them! Cute bracelet and very good gift guide! Such an adorable bracelet! I always love your gift guides for the mix of food and book gift ideas – definitely speaking my language! All can’t miss ideas–thank you! Love the bracelet and the cutting board is pretty cool too! Those bracelets are gorgeous… oh random number generator, please pick me!!! Big fan of the chicken bracelet! Thanks for the always useful ideas…hoping for an update on your running/training progress for inspiration! Of all the hyperlinks, the bracelet was the one I clicked through on! love that crab. all of these are GREAT ideas! I have been waiting for your gift guide to come out. Have some teens and tweens to give gifts to and this provides some great ideas. ooh ooh pick me pick me! WOW! I want everything on this list–to give or to get, really! Great selection. Yes, please enter me in the contest for one of the supercool bracelets! Those bracelets are super cute! What a great idea with the gift basket. I like the idea of giving a gift that is an activity or a learning experience. Love the book ideas! I’m going to have to find that Johnny Cash CD! 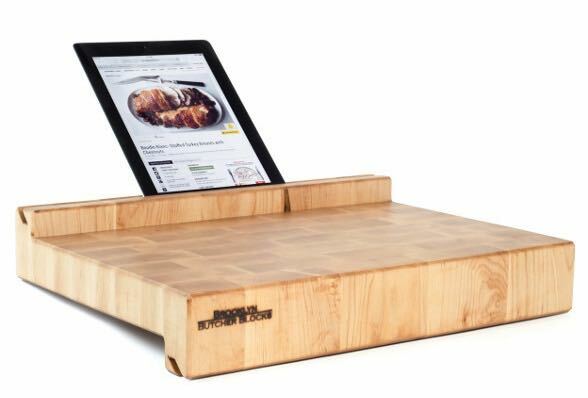 iPad stand butcher block! Genius! what great ideas! thanks for the giveaway! I always love your book recs! Thanks for all the ideas. Hope I win!! Great list! Love that idea for the book/ingredients in a jar. Will be stealing that for sure! Love the bracelets from Delicacies! I hope they do a tomato or strawberry one soon! Fates and Furies is also on my nightstand. I think reading it by the Christmas tree with a glass of wine sounds good right now. Love this gift guide! Thanks for the suggestions. And I super LOVE those bracelets!!! What a wonderful gift guide! I love the idea of the book in a jar! I loved Fates and Furies, it’s an excellent read! Great ideas! Love learning about new sites and products. These bracelets are SO fun! I can see so many reasons to give them to friends. Fingers crossed I win one! Thanks DALS for the chance to. I’ve been waiting only semi-patiently for your annual gift guide post. Thank you for another round of terrific ideas! Of course now I’m re-thinking my holiday master list for everyone. Always love your book recommendations, thanks! i would love one with garlic, my favorite ingredient! 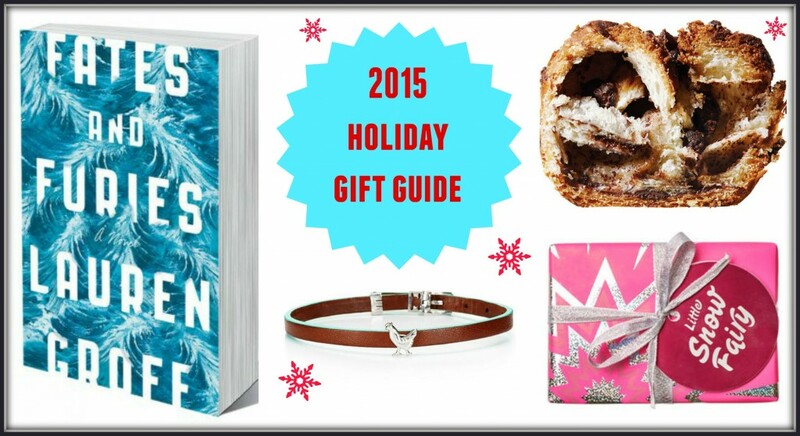 Great gift guide, I love the bracelets! Great round-up! Especially love the pig bracelet 🙂 Happy holidays! 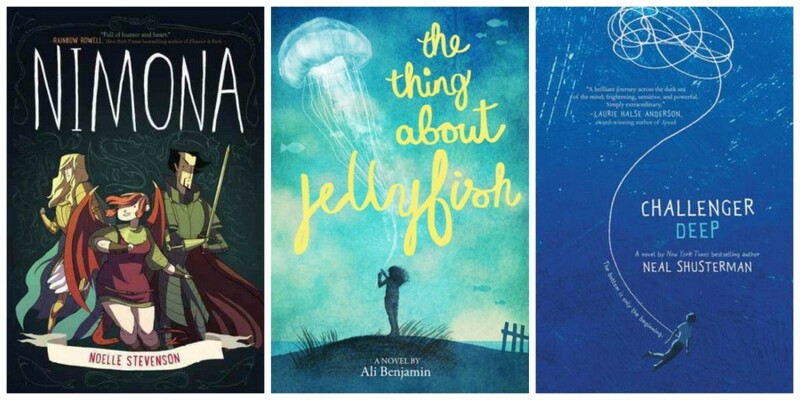 Love the books on this list – can’t wait to pick them up for my kids! I love the idea of giving things that will be used. 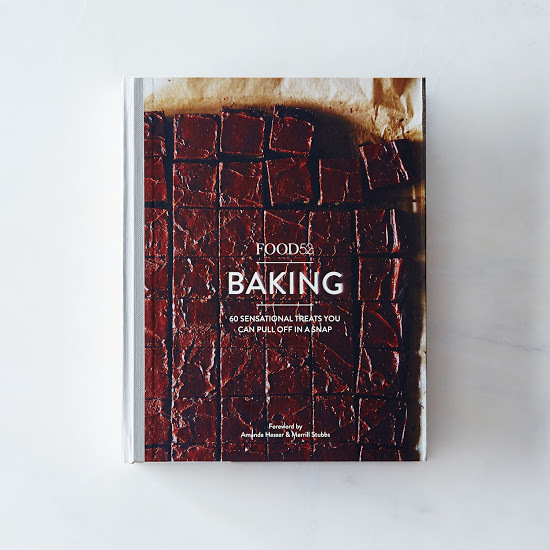 I’m dying to get the Food52 Baking book since baking is almost my favorite thing to do/share in the world. 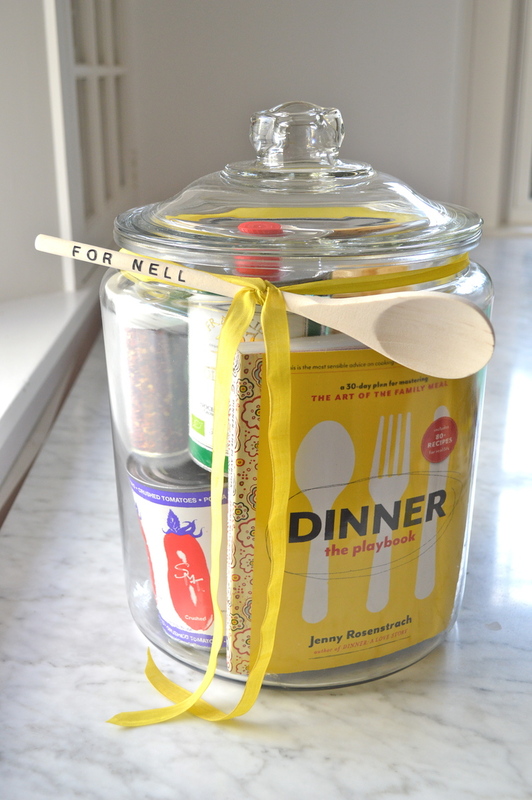 Packing a (your) cookbook in a big glass jar with some fixins for a meal is also a stellar choice for gifting. Thanks for the fun ideas. And of course, I’d love a chicken on my wrist – they used to wander in our yard, but no more… they’re fun creatures to have around. Thanks for the mythology graphic novel suggestion. I LOVE those bracelets! What an amazing idea and an even more amazing cause! Love so many of these!!! Always great gift ideas. Thanks for sharing! Great list, filing away those stickers! I always love your book recommendations: Fates and Furies is now on my list. great list, something for everyone! LOVE the delicacies brand; right up my alley style-wise and food-wise. What a great idea! Great ideas! I especially love learning about companies that give back. Thank you! Fun list! Love the variety! I would love a bracelet, too! Love the gift kit idea. What a great way to personalize a gift!! This is a great gift guide. Thanks! What a great gift list! So many great ideas here. Loved this list! 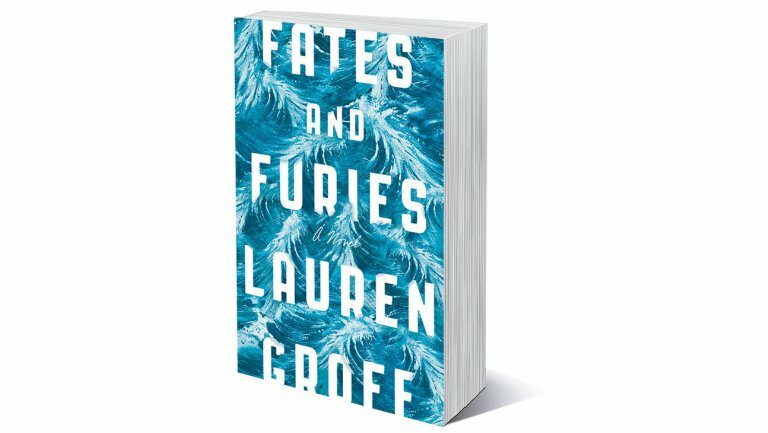 Just ordered Fates and Furies for my mom to round out her gift – thank you for the recommendation! I love the Lobster! So fitting for a Mainer! I love these bracelets! Wish they made a lemon, my favorite ingredient! I always love your Holiday gift guides! love it! great gift guide. Oh, I was just trying to decide whether to put Challenger Deep in the basket for my 14 year old son (ahem, ok , me). Yes! what a great list!! thanks again DALS! Awesome list! But I would like to add my two cents and say that there’s a small business called Kidecals that makes the most awesome keyboard stickers. I’ve had mine on for 2+ years and I’d rather support them than some large made-in-china distributor. They’re stickers, so it’s a little different than a keyboard cover, but still every bit as fun! Did somebody say giveaway? Love the Delicacy bracelets! Your blog never ceases to inspire and help me escape after a day of teaching, friending, mommying, cooking……. thank you. I’d love to be in the drawing for one of the bracelets. Those bracelets are so interesting and cute too! What a great guide! 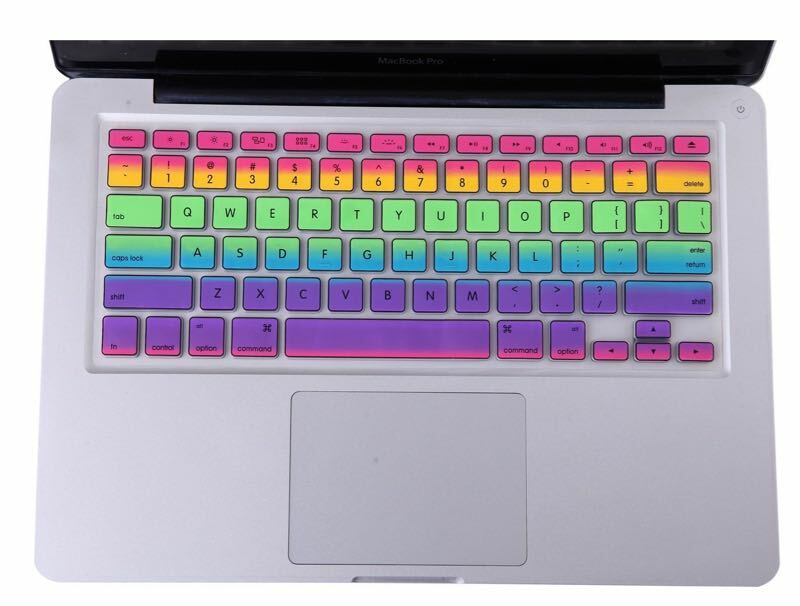 I am intrigued by the keyboard covers especially. Thanks for the giveaway opportunity! Um yes please! So cute!! I would absolutely love a delicacies bracelet, but I am also obsessing over books this year. I want all the books and I want to give all the books. a bad problem to have, I guess. These bracelets are adorable! Thanks for all the gift ideas in this post! Very cool ideas! I’ve forgotten about Lush and yes, I do need ideas for the grandparents! The bracelets are simple and really cool. OOooh can’t wait! So beautiful! Thank you Jenny! love the bracelet for my sweet sister! That cookbook kit is wonderful. Love the gift guide – Thanks! And love those bracelets! Thanks for the wonderful gift ideas!! Thanks for the wonderful and creative gift ideas! Bracelets are super cute! I wish I had read your gift guide earlier. So many great ideas! Thanks! Love these gift ideas. Especially love those bracelets! These would be great gifts for my nieces! 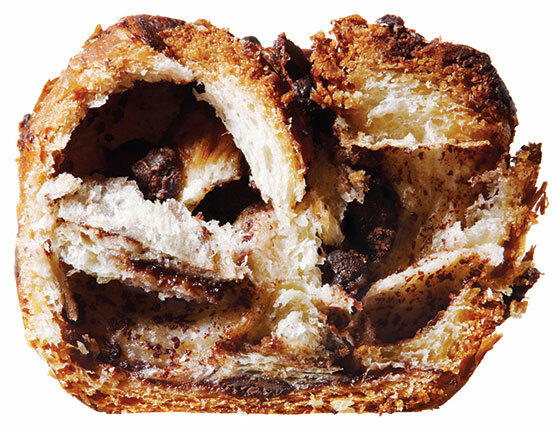 Mmmmm…chocolate babka….now I am hungry. Another great gift guide from you – thanks! I love the cutting board w/ iPad slot, and the bracelet is adorable. My favorite is a toss up between cacao, wheat and onion. I see you the Medusa costume and raise you an Athena costume. It included an owl on the shoulder. Thanks for the recommendation of the Olympians set. i enjoy your blog a lot. Have also checked out one of your books from the library. saw this article in the paper last week. seems to mesh well with the themes of your blog. you might want to share with readers. Children are immersed in a culture that stokes disrespect. Here’s how to instill some civility.